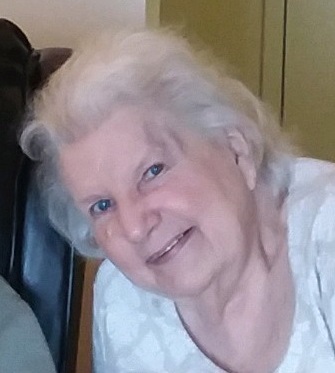 Mary Joan Somple, 81, of Liberty Twp., passed away on Monday, January 14, 2019, at Trumbull Memorial Hospital. Mary was born October 6, 1937, in Girard, Ohio, the daughter of James and Gwendolyn (Gill) Rees. Mary had worked years ago in the payroll department for US Steel and later worked for Sunny Acres in the Dietary Department. She was a member of St. Rose Church and was a devoted wife and mother to her family. She leaves to cherish to memory, her husband of 62 years, George L. Somple, her children; John M. (Lauren) Somple, of Bath, Ohio, Mary Clemons, of Aurora, Ohio, Darice (Jeff) Jay, of Girard, Neysa (Chris) Gaskins, of Bainbridge, Ohio, Margaret (Tim) Hotz, of Butler, Ohio, and Collette (Rich) Sheely, of Bainbridge, Ohio, 16 grandchildren and four great-grandchildren. Besides her parents, she is preceded in death by her brother, James Rees. A Memorial Mass will be held on Friday, January 18th, 2:00 PM at St. Rose Church, where the family will receive relatives and friends from 1:00 PM until the time of service. Mary will be laid to rest at Belmont Park Cemetery. The family suggests, in lieu of flowers, that any memorial contributions be made to the local Alzheimer's Association. Visit www.blackstonefuneralhome.com to view this obituary and to send any condolences to the family.